If you’re anything like us, you love the idea of adding plants and greenery to your home but aren’t the best at keeping them alive. Spare yourself — and your plants more pain by whipping up one (or both!) 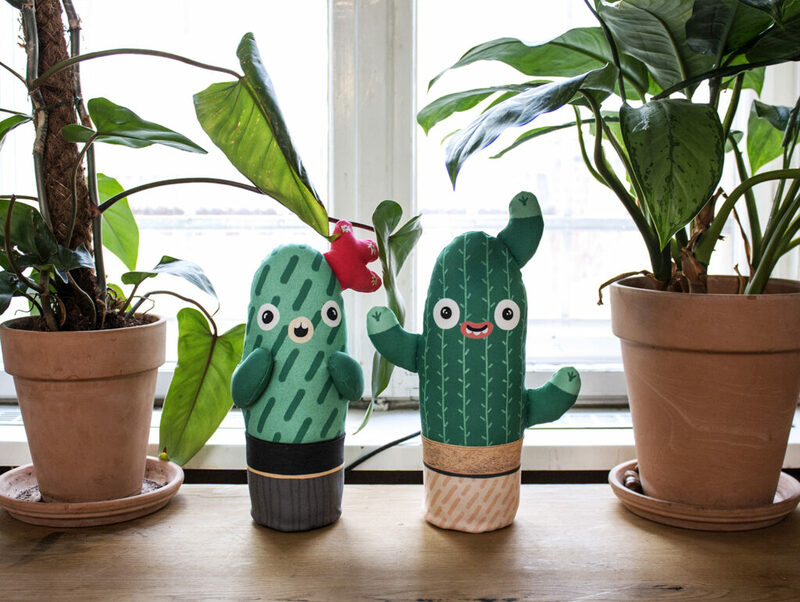 of these adorable plush cacti created by Berlin-based maker Na’ama. Read on for the full how to. Na’an: Hello there sweet makers! How great is a plant that you never need to water, and still will have a long and beautiful life? 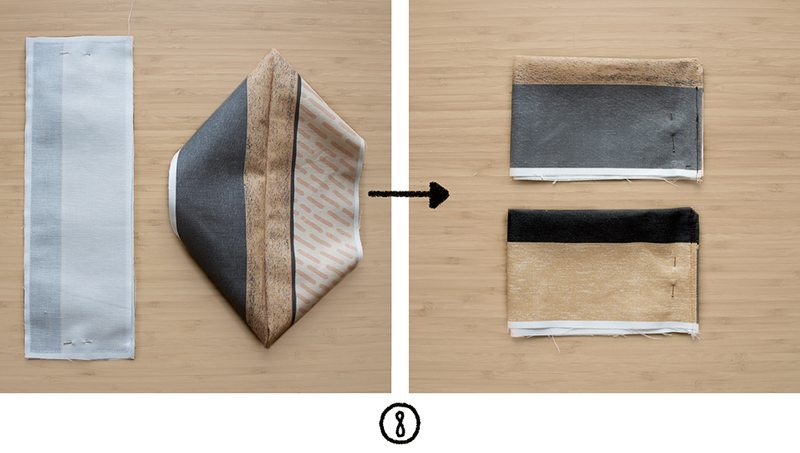 When you solve problems with fabrics, like I always do, everything is possible! And if you have the love for cacti, it is a unique plant that can decorate your window, shelf or table. 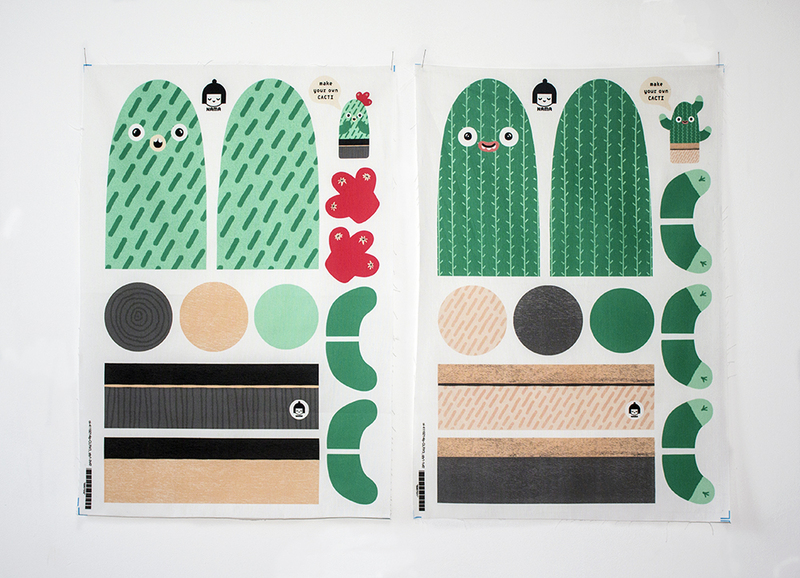 I created 2 different cacti design, so each will never feel lonely. 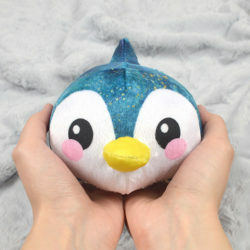 They share similar sewing techniques/methods, with slight variations. 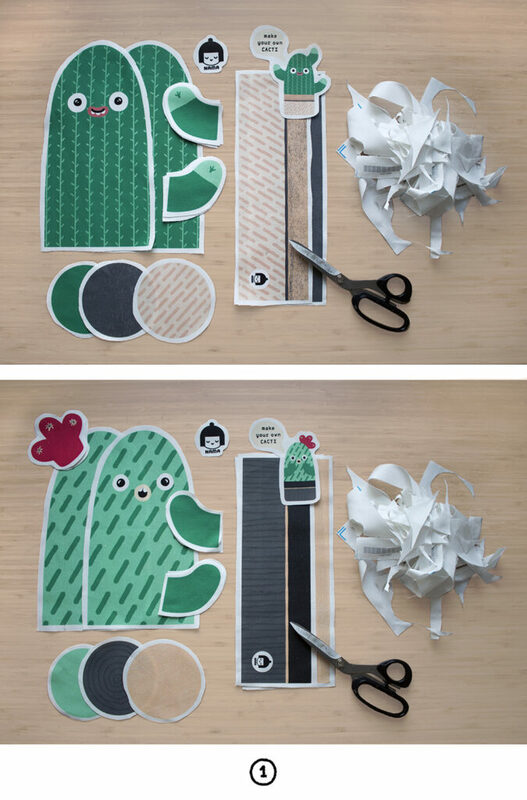 Let’s make some cacti! 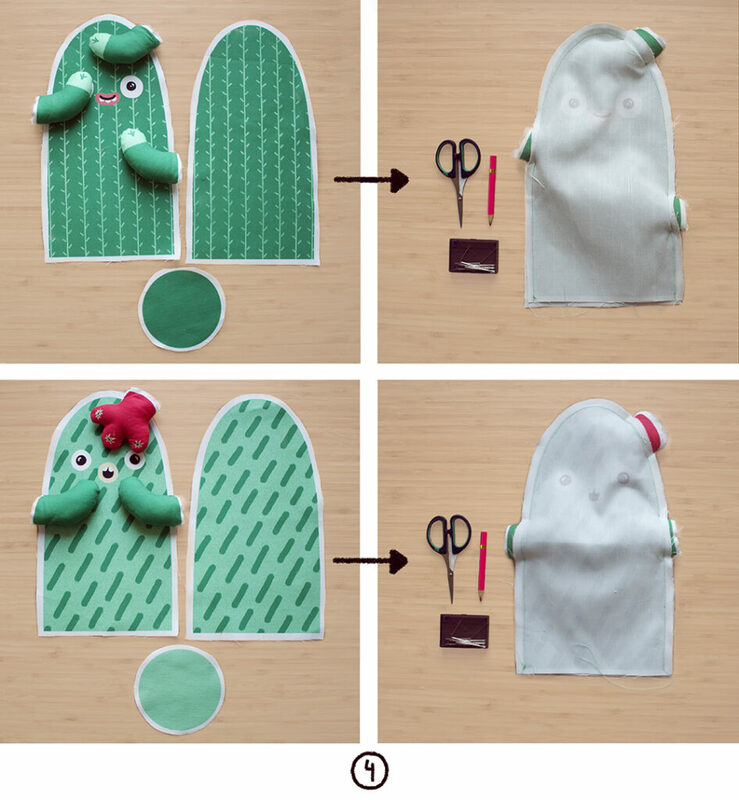 Prep: You’ll find the cut-and-sew pattern template here on Spoonflower. I’ve ordered a Fat Quarter of Linen Cotton Canvas. 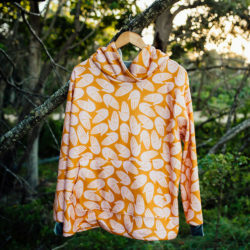 Once you receive your fabric in the mail, begin by washing on a gentle setting and drying on low heat. 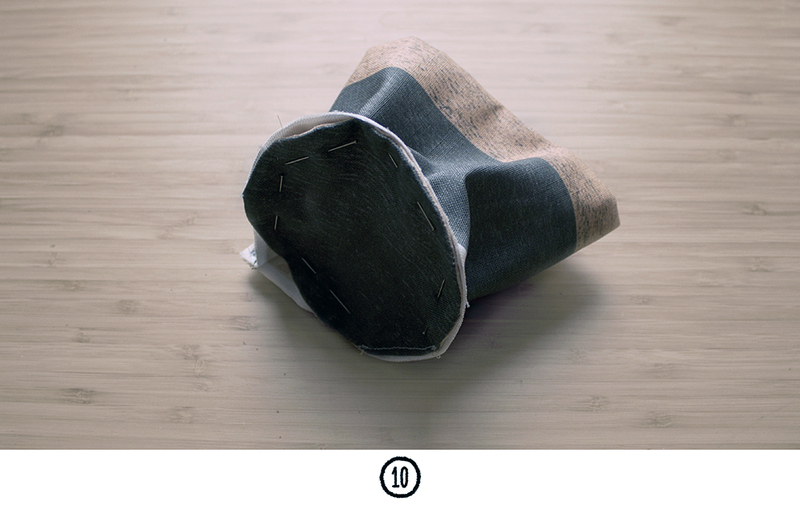 cut all pieces from your Linen Cotton Canvas, following the cutting marks. 2. Stitch the hands of both cacti. the best way is following the edge of the design. Place the printed sides together with unprinted on outside. While sewing in the inner edge of the design area. 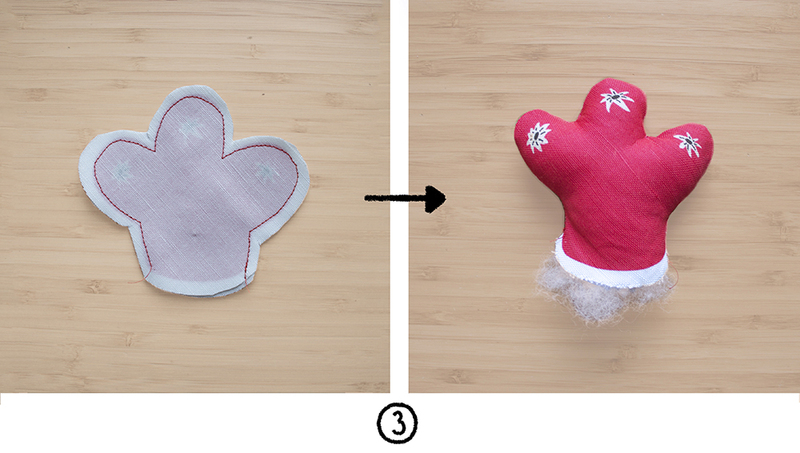 (making sure no white background gets inside) .After sewing all of hands, turn the shapes inside out and fill them up with fluffy filling. 4. Sew the body silhouettes together along the edge with right sides facing together, leaving the marked areas open in order to make a space to insert the hands and flower elements. 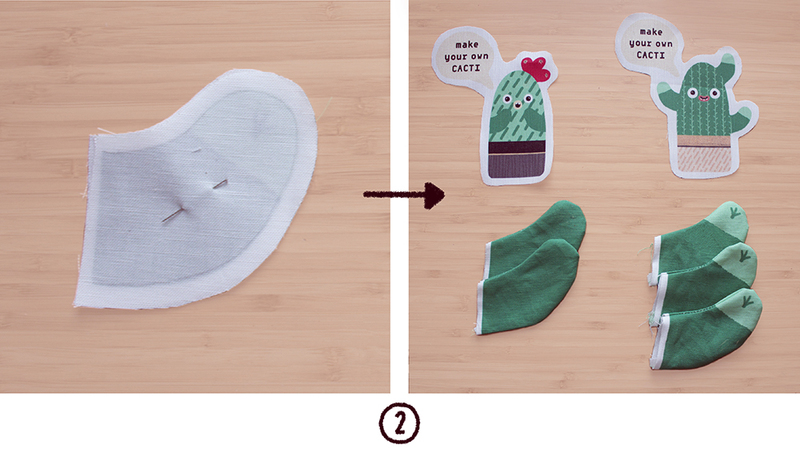 Then insert the elements and stitch them together to the body of the cactus. Make sure to follow the right positions as shown. 5. Close the cactus with the rounded bottom (upside-down of course) ,again following the edges of the design for best result. 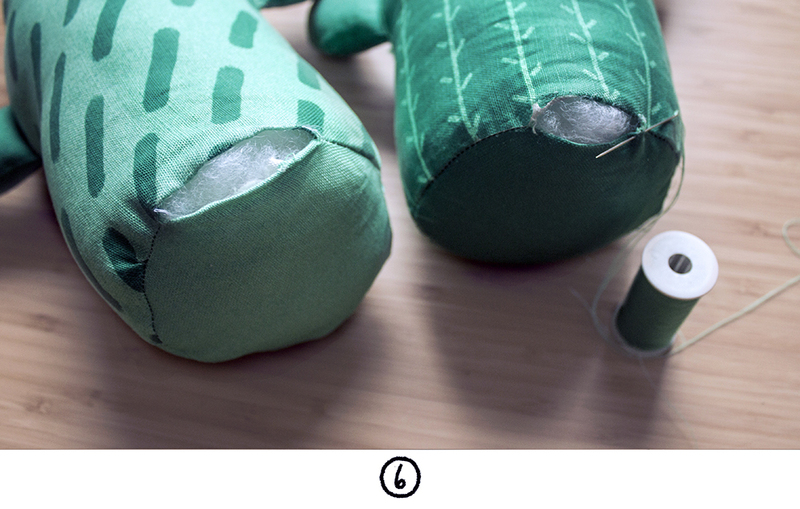 Leave a small opening, big enough for turning the whole cactus inside out. 6. 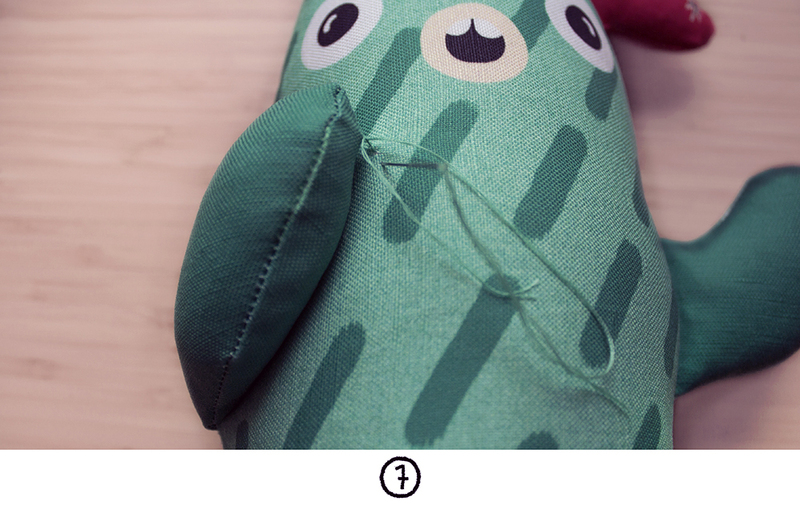 Reverse the cactus, stuff fully and close the opening with a blind stitch . 7. The hands of the flower cacti need to be hand stitched to the body. 8. Now let’s sew the pot! First attach two parts of each pot together, and sew them along the edges, leaving only the bottom side open, and reverse. Then fold in half and sew the edges together making sure to stitch on the inside part of the pot. 9. 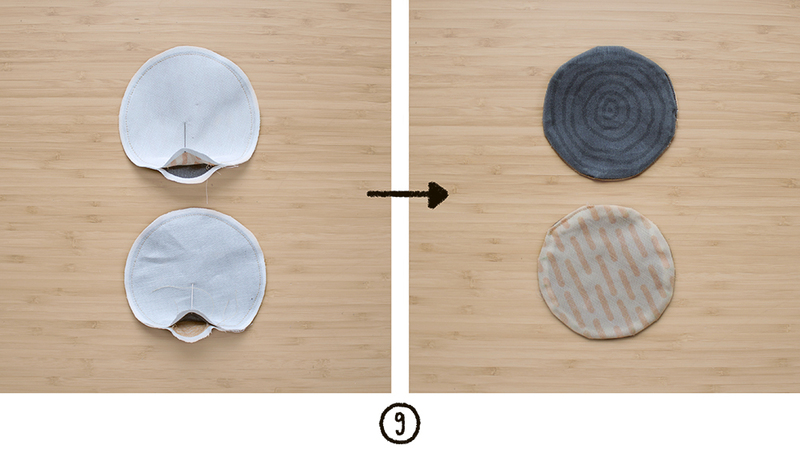 Sew the both bottoms of both pots together, leaving a small opening reverse them (if needed you can use an iron to get the full circle form) then close the opening you left . 10. 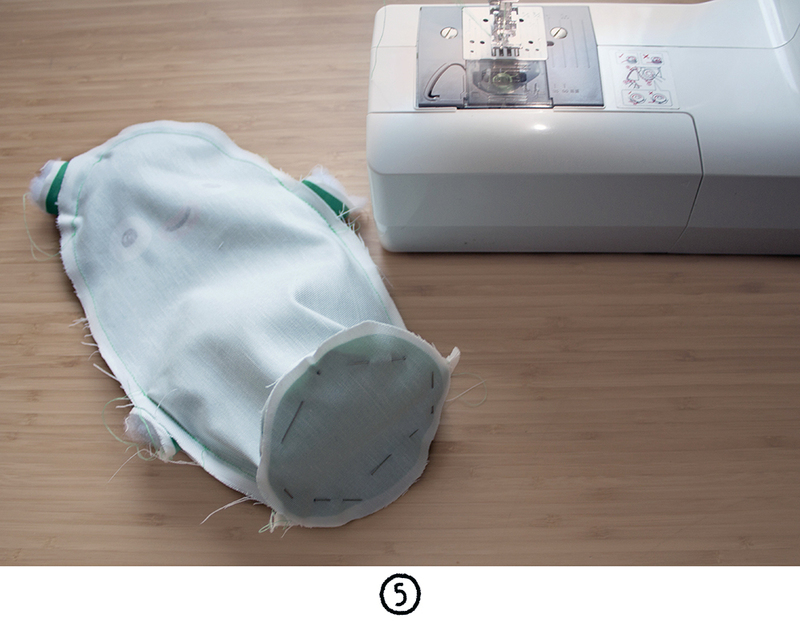 Close each pot by sewing the two pieces together, sewing only a small distance from the edges. Make sure the inside part is facing outwards. Reverse the pot- now you are ready to plant your cactus! 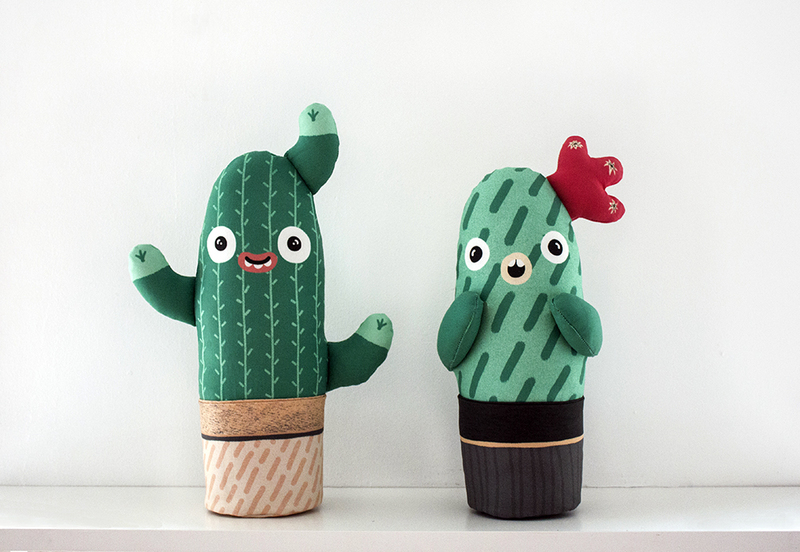 Aaaaaand…you made yourself handmade cacti! 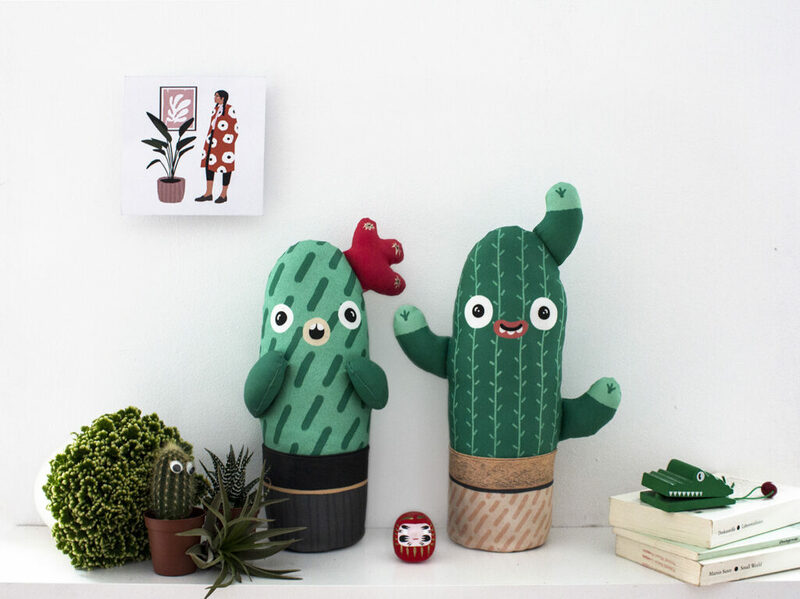 With a knack for faces, fluffiness, sushi and cuteness in general, 28 year old designer-maker Na’ama Ben Moshe translates her passion for textile and illustration by combining both in her work. After setting her base camp in Berlin and winning a lucrative prize in the Talente exhibition in Munich, she’s now focused on founding her own private factory under the Name ‘NAMA’ and is working on her first online shop for her goods. For more cute creations, follow Na’ama on Instagram. 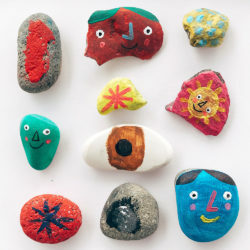 These are just so fun to look at! 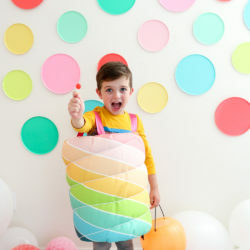 Would this be possible to make without a sewing machine? They are precious! !